Persian knife with straight blade and handle and with no guard, often has an armor piercing point. The most common of Hindu India's knives double edge blade ranges from a few inches to sword length. The handle is made up of two bars extending from the back of the blade in line with two or more cross bars that make up the handle at right angle to the blade. A material of great strength used to make bullet proof garments and used to reinforce thermoplastic material sometime used in knife handles. Arabic for knife, this is generally used for the Persian version, a double edged dagger with a curved or even double curved blade and a handle pistol grip shaped, often of jade or other stone. The knife of the Afridis and other tribes living in or near the Khyber Pass between Afghanistan and India. With a long straight back that is heavily ribbed on the back and that tapers to a fine point this knife has no guard and the sheath encloses the handle and is worn slid under the sash. A projection at the bottom of the tang at the end of the edge, by resting on the spring this projection controls the distance of the edge from the back spring when the knife is closed. Also called the Ballock Dagger, carried in Northern Europe and England in the 14th and 15th century generally across the back for left hand use. It got it's name from the wooden handle with it's carved guard of two lobes. Like the Persian Shamshir this Turkish Saber is often included in the category Scimetar. The Turkish Kilij generally has the same curved edge intended for the draw cut but the curve stops for the last 8 or 10 inches of the back to the point. None of this class can be used for thrusting. A tool with a blade and a handle. The blade will have at least one sharp edge. The first blade could have been of bone or stone, the first handle may have been a piece of hide used to protect the hand from sharp edges of chipped or broken stone. Handles come apart to form knife, fork and spoon. Without the spoon is more common. The K-Bar of WWII shows what a combat knife should be; it can open cans of food, it can dig a foxhole or it can be used in hand-to-hand combat. A knife that is intended for killing sentries, for hand-to-hand fighting and little else. Any knife that allows the blade to be folded into the handle. Pocket knives, Folding hunters etc. Any knife that is trim and elegant in form. something that could be carried without embarrassment anywhere. A knife used for skinning and butchering large and small game. Originally a kitchen knife carried into the field, now very special knives are designed every year. Today it usually means a knife with a blade of 3 to 6 inches with a guard between the blade and the handle. Used for trimming the points of quill pens, now a style of knife carried by men who want a very small and unobtrusive knife for dress wear. Smaller than 3-1/2" closed. Any knife that can be comfortably carried in a pocket, may have several blades, almost always a folding knife. The forward curved knife or sword of Egypt, carried by Alexander to much of the ancient world. A man made material resembling rubber that can be molded into knife handles or handle parts to offer better gripping ability. 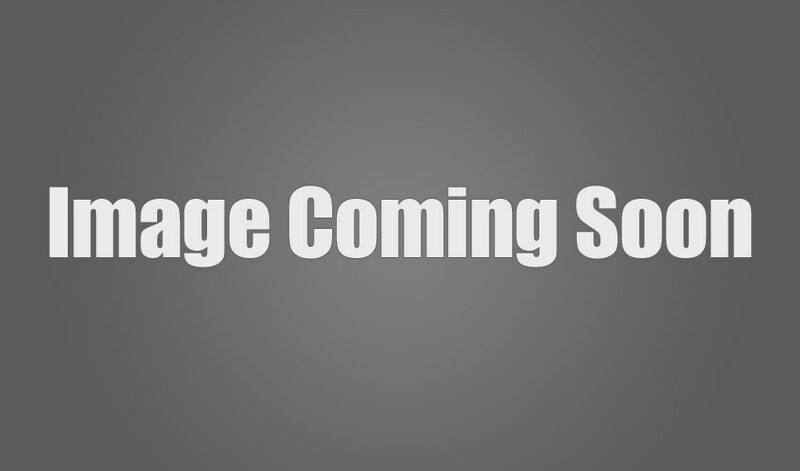 The most prominent of European makers of hand made knives, trained in the U.S. in the early 1970s. 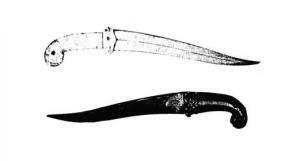 The knife of the Malay Peninsula, the blade is usually of Damascus with layers of nickel-iron between layers of steel. Offers a unique appearance. The knife of Nepal and the Gurkha troops from that country. This knife is believed to be descended from the Kopis of Alexander's army. Very heavy point and light handle combined with the forward curve make it very effective in combat or the jungle. Material used for very strong and convenient sheaths. Must be molded to each individual knife. Best known sheath maker using Kydex® is R. L. Dozier.